Mental Illness is a disease that affects one in four families today. As the largest outpatient provider of mental health in New Hampshire, The Mental Health Center of Greater Manchester provided charity care to many individuals and families last year who would have otherwise gone untreated. With the appropriate care or medication services, children, adults and seniors are able to achieve self-reliance and self-respect, along with the ability to perform normal day activities. Over the last ten years, race proceeds have helped to improve the quality of life for countless families. The services provided help and support for many young children, adolescents and young adults, getting them the help when they needed it the most. The services provided by The Mental Health Center of Greater Manchester help to promote a healthier community for all, because we believe everyone deserves a running start in life. If sending an appeal to family/friends in support of your efforts and Mental Health, donations can be made to: MHCGM, Development Office, 401 Cypress Street, Manchester, NH 03103. 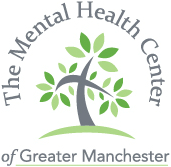 The Mental Health Center of Greater Manchester, Inc.